==> click on "Compose SMS"
==> click on "Type recipients" under "Recipients"
==> Fill in your SENDER ID, type your message and click SEND SMS. Your SMS will be delivered to the phone numbers in the uploaded file. Repeated numbers/duplicates will be removed. 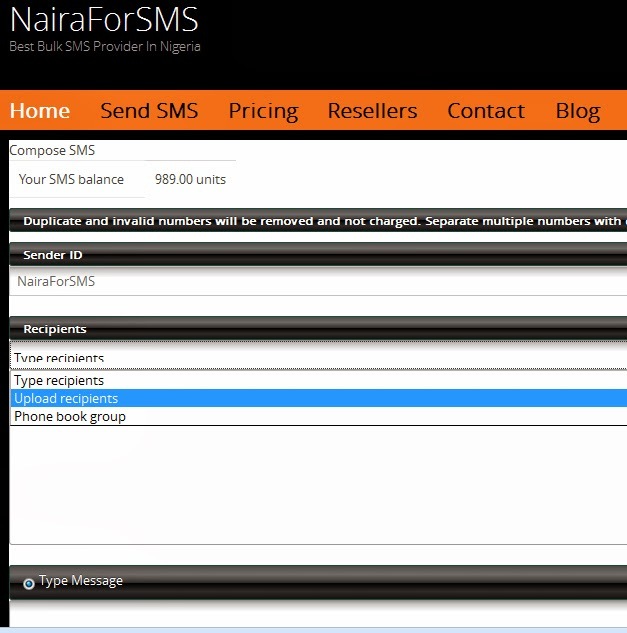 You can also create a phonebook at Nairaforsms for the uploaded numbers.